Jean-Claude Juncker dismissed the idea that Britain would not get any further short delays to Brexit unless the UK Parliament ratifies the EU exit deal on 12 April the latest. "The 12th of April is the ultimate deadline for approval of the Withdrawal Agreement by the House of Commons. If it has not done so by then, no further short extension will be possible," Juncker told the European Parliament. "A 'no-deal' at midnight on the 12th of April is now a very likely scenario. It is not the outcome I want. But it is an outcome for which I have made sure the EU is ready", he added. 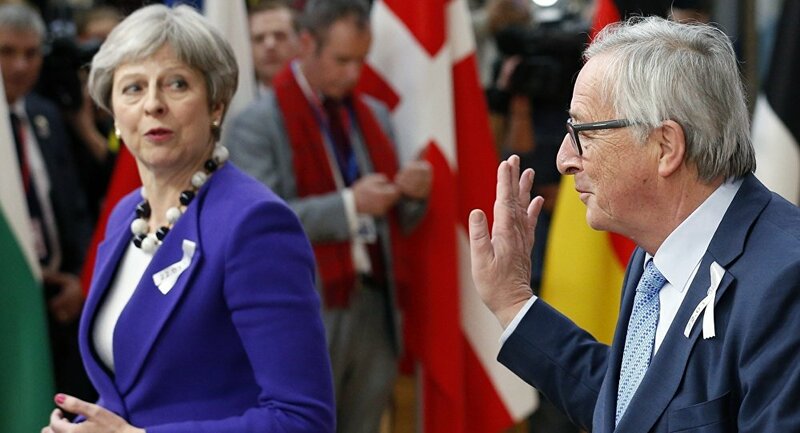 Addressing the EU Parliament, Juncker said that the EU 27 will listen to Theresa May's report on the outcome of negotiations at home and will decide how to proceed. He stressed that now every word counts, adding that the EU should be prepared to accept a delay until 22 May, on the condition of an approved Withdrawal Agreement by London. The UK was set to leave the EU on 29 March, but the government requested an extension to the deadline, with the new date set to 12 April. On 2 April, Theresa May said in a statement that Britain will ask for another extension in order to get a Brexit deal passed by the UK Parliament. Jeremy Corbyn, Britain's opposition Labour Party leader, has agreed to sit with Theresa May on Wednesday in order to map a Brexit compromise.